Developed from the successful designs of the Prospector working canoe and the Peterborough recreational canoe and blending the best features of both the Outlander 16 is both a highly manoeuvrable and efficient boat. Able to carry a payload of around 400kg (900lbs). 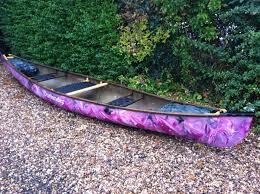 the Outlander 16' is generally fitted out as a tandem canoe. 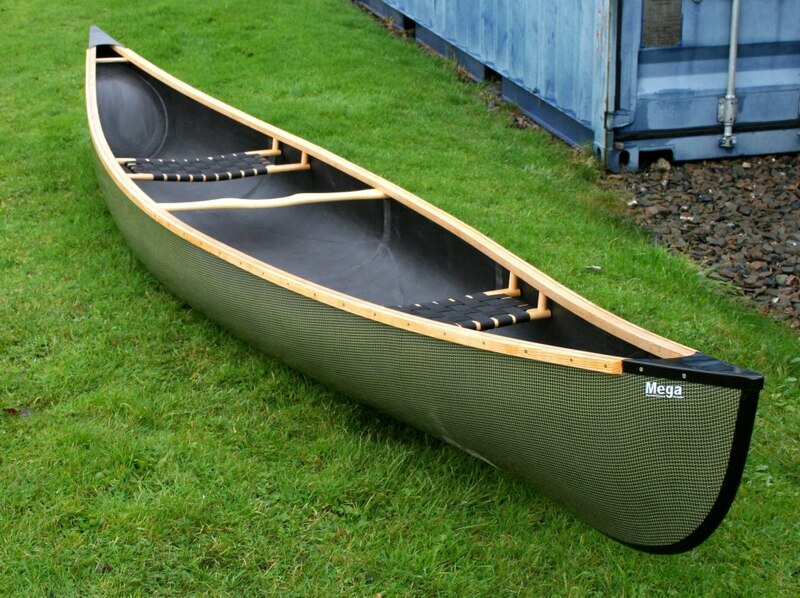 With a beam of 31" and depth of just under 14" the Outlander 16' is ideal for both experienced or novice paddlers alike. It can be produced in a range of colours and lay-ups from glass to high performance Carbon/Kevlar. Weight will vary somewhat dependant on lay-up and outfitting required but will be in the region 20-26kg. 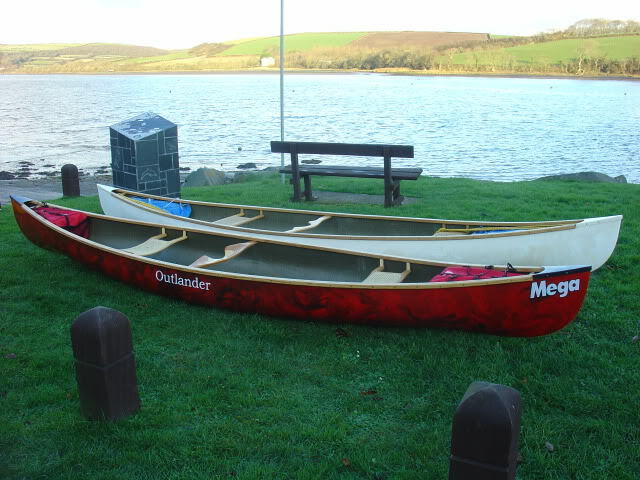 Both "Outlander" are fitted out with hard wood gunnels and thwarts, seats are of the "H" section construction and laced with 2" webbing. Carrying thwarts are included as standard. Optional fittings include Kneeling thwarts and padded seats. Bow and stern are fitted with glassfibre end caps in a contrasting colour.